Not long ago, Republicans could take pride in their party's tradition of environmental leadership. In the late 1960s and early 1970s, the GOP helped to create the Environmental Protection Agency, extend the Clean Air Act, and protect endangered species. Today, as Republicans denounce climate change as a "hoax" and seek to dismantle the environmental regulatory state they worked to build, we are left to wonder: What happened? In The Republican Reversal, James Morton Turner and Andrew C. Isenberg show that the party's transformation began in the late 1970s, with the emergence of a new alliance of pro-business, libertarian, and anti-federalist voters. This coalition came about through a concerted effort by politicians and business leaders, abetted by intellectuals and policy experts, to link the commercial interests of big corporate donors with states'-rights activism and Main Street regulatory distrust. Fiscal conservatives embraced cost-benefit analysis to counter earlier models of environmental policy making, and business tycoons funded think tanks to denounce federal environmental regulation as economically harmful, constitutionally suspect, and unchristian, thereby appealing to evangelical views of man's God-given dominion of the Earth. As Turner and Isenberg make clear, the conservative abdication of environmental concern stands out as one of the most profound turnabouts in modern American political history, critical to our understanding of the GOP's modern success. 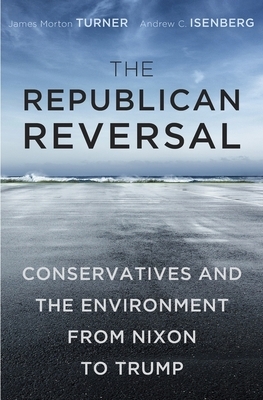 The Republican reversal on the environment is emblematic of an unwavering faith in the market, skepticism of scientific and technocratic elites, and belief in American exceptionalism that have become the party's distinguishing characteristics.